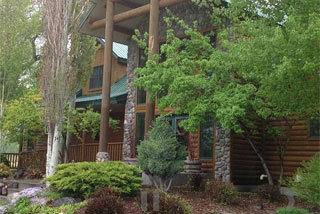 The Blue Heron Inn Bed and Breakfast is located on the banks of the South Fork of the Snake River in Eastern Idaho. The Inn features spectacular river views, fishing from the banks of the river, good food and old fashioned hospitality. The Blue Heron Inn is the perfect destination for vacation. Yellowstone and Grand Teton Peaks are just a 90 minute drive from the Inn. Amenities include free breakfast, Cable/Satellite TV, Fireplace, Game Room, Hair Dryer, Handicap Access, Hot Tub/Jacuzzi, Microwave, Motor Coach Parking and Wi-Fi.